Ethemia’s latest single, “Real Love,” from the EP Common Ground, delivers a personal experience about life, tenderness and deep despair. 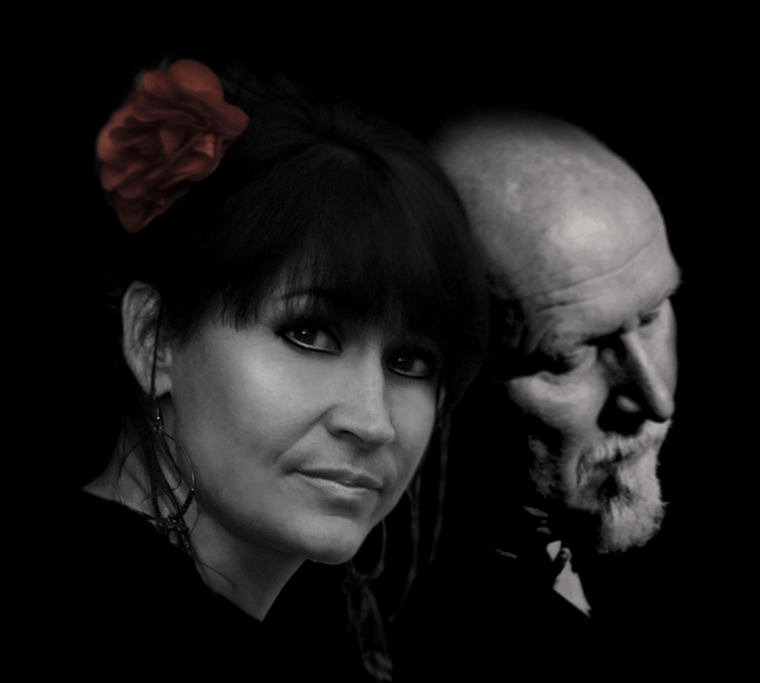 The Gloucester-based duo of Berny Poulton and Michaela Mott guides music aficionados on a journey through real emotions in this heartfelt release, including the loss of a loved one. But there is more. Real Love is a personal offering direct from the heart. Can you talk about the lyrics? Berny: Michaela and I put our real experiences into each of the songs. Empathy tells us others can feel the pain of these experiences and can be related to and understood. This particular song was influenced by my first marriage of 16 years, or rather how it came to an end. My wife at the time did not intend to hurt me. The song explains what many people feel in this situation, not meaning to hurt someone but they unintentionally do. Primarily they lose sight of the person they’re with and that person feels utterly alone. It seems as though you’ve both experienced heartache in your life. Michaela: For me, “Real Love” touches on that deep feeling of despair and loneliness, when the person you love loses sight of you. Although this song is from the man’s perspective, this situation is relatable to anyone going through a tough and distant time with their partner. Berny and I crafted the song together, each of us bringing our individual experience and emotion to it. Although it clearly carries pain, there is tenderness in it also because in these situations; there is no blame. It takes two to create a relationship and share the responsibilities. Each will feel tremendous pain and may not know how to make a difference to the other. In essence, the song is about just that, real love and the differences in what would have been perceived as being a strong relationship? Berny: The verses illustrate the story of the man as his world is falling apart and he’s helpless to stop it; whilst, the chorus shows how we shouldn’t listen to the fickle voices that temp us into thinking the grass is greener elsewhere. When James Richings of Crescent Records, Swindon, was filming the video, he [Richings] commented on the emotion in our faces. We weren’t acting though. The song is real and when we were asked to face each other and sing, the emotion in both of us intensified. Michaela broke down in tears and fell into my arms. “Real Love” is the lead song from the four-track EP Common Ground, which was released on CD and digital download through Crescent Records. For more information see the band’s website.